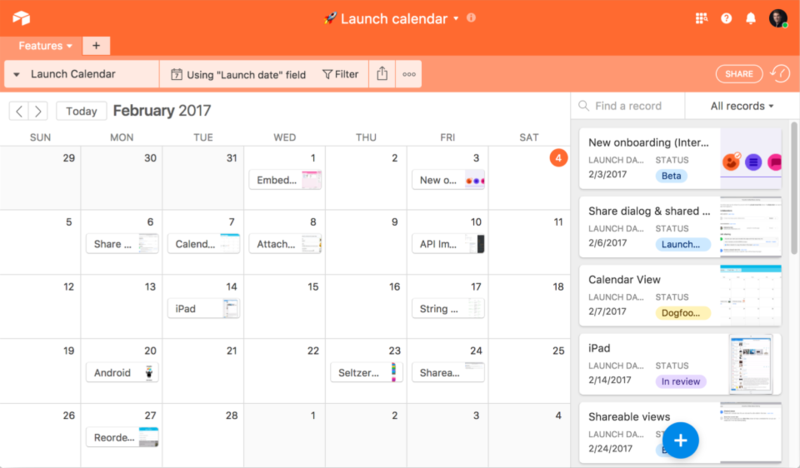 I hope to manage everything in our business through Airtable. I'm not sure of the extent of the formula capabilities but I'm excited to learn my options there. The consolidation of all our data so far has been of great value to keep us organized and productive. The fact that we don't have to be IT geniuses is of enormous benefit because relying too much on outside IT help becomes messy - we need stability and ease of use in our technology, which Airtable has given us so far. It is especially valuable in helping with communcation between remote team members. The ability to call and share screens is really helpful, and has become our go to method to communicate, eliminating the need for Skype and our various conference call systems available in our company. Using Slack for calls and meetings is now extensive within our group, and is done many, many times per day. it is easy to add people and to share and give sharing capabilities to other team members. The ease of the relational database capabilities are key for keeping tracking of how our contacts, partners, donors, and event attendees are all related. The map block feature is great for when we're on the road visiting partners. The custom views are extremely helpful for viewing the most important information quickly. As a nonprofit, the reduced prices are also greatly appreciated so we can put more funds towards the youth we serve rather than into infrastructure. Of HUGE importance is the care and feeding I've received from customer support. I ask a question and get a response within 24 hours and the response is personalized and makes sense. The conversation with a single representative is such a relief and makes it so much easier for me to be productive. I suspect that the technology integrations with other apps, using Zapier or otherwise, will become more and more important to us - we're working on getting PayPal payment completions to populate our event attendee lists right now! Plugins and integrations - Slack has many interesting plugins and integrations that leave the tool with the most modern air, such as the Giphy plugin that allows you to insert GIFS of reactions in your conversations only using search phrases. Apps - mobile apps are not just web-based adaptations to work in a basic way, on the contrary, Apps are robust, complete and seek to use the full functionality of each mobile platform (iOS /Android). Interface - Slack has a clean, modern, intuitive look and this helps to take the "weight" of the constant messaging, the employees spend hours communicating in Slack and its interface helps to make this journey lighter and more pleasant. It's a minor point and one that's likely outside of Slack's core competencies, but if you're looking for a communication tool that also includes voice chat, this isn't it. The system does seem to hang quite a bit, completely unrelated to my internet connection, which can get a little annoying when you are in the middle of a conversation and cannot respond and the conversation moves on without you or creates a lull in the discussion that gets everyone off topic. I've used Discord which is a direct Slack competitor in tech/gaming communities and I have found both have strengths and weaknesses. Once I've gotten accustomed to certain text formatting features of Slack, I've found switching over to using Discord was sometimes disappointing when a formatting feature was absent. Slack has some nice code/syntax highlighting/sharing features which Discord does not have. Airtable has allowed us to streamline and automate almost all of our repeatable processes, saving loads of team time. Airtable has allowed us to document and store critical information on our network, then share select pieces of this information with an external audience via a shareable view link, meaning less back and forth emails to keep stakeholders updated. I'm not sure how measurable it is to determine impact of a chat app on business. It does help us to maintain effective communication avenues between our office and remote employees. It helps us schedule easy reminders which can keep us accountable to our customer/lead follow-ups which definitely helps alleviate some stresses with customers.